The collection of information about a potential customer enhances the quality of the credit granting decision. That same information also has strategic implications: it can strengthen a company’s understanding of its customer base and lead to expanding that base. The credit department is, in effect, an information warehouse within any company. Gathering the most predictive information about a customer beforehand, in order to assure that a company will get paid, will reduce the risk of playing the guessing game. NACM Affiliates can provide you with the most up-to-the-minute information about your customers that’s available in the business today—saving time and money, and ensuring a completely sound and informed credit decision. NACM Affiliates are industry leaders in providing predictive data and credit reporting tools to companies that use credit information to compete in their marketplace. NACM understands that business credit reports are the keystones that help credit professionals make sound credit decisions. 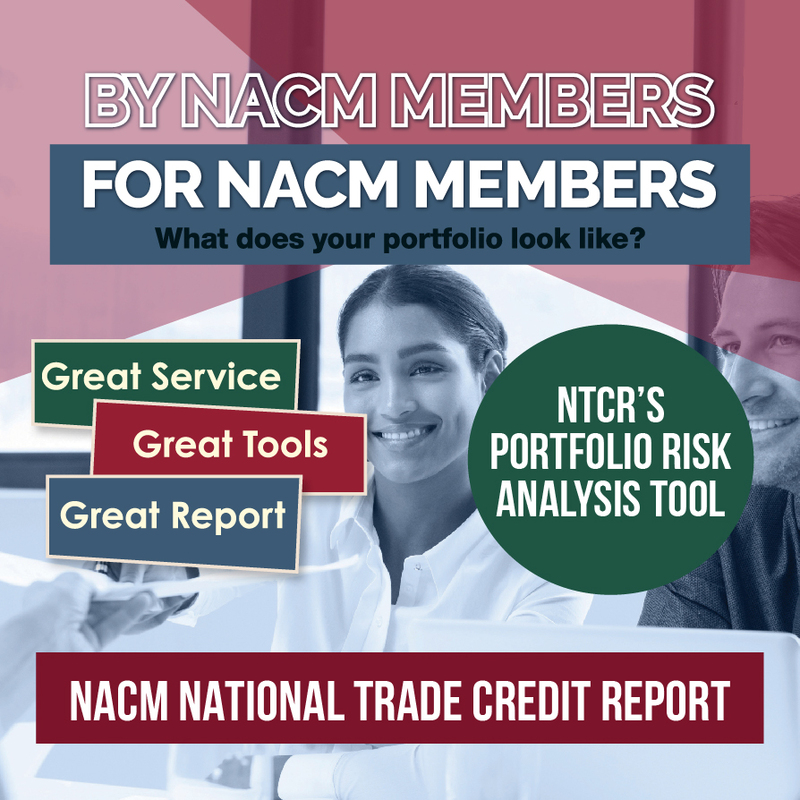 NACM Affiliates can provide credit professionals with the most complete, objective and accurate reports available. Find an Affiliate in your area that offers these services. A comprehensive business credit report can provide detailed information about a business, which may include a summary of company ownership, extensive trade payment information, commercial banking relationships, public record information and federal government information. Sometimes, information about the principal’s creditworthiness is needed before the decision to extend business credit can be made. For a quick, effective assessment of low-balance account transactions, summaries may be available, providing a wealth of information in a condensed format. For high-volume, quick-turnaround account transactions, scoring reports may help streamline credit decisions. These easy-to-read, one page reports summarize a business credit report, including background information, trade payment and public record data. This report is particularly objective in its rating system by providing analysis based on specific criteria consistently. Research shows that reports combining business and owner credit scores are more predictive than business or consumer-only scoring models. Many Affiliates offer a summary of information on both the business and the business owner(s) so that better credit decisions can be made. NACM Affiliates and FCIB, NACM’s international association, provide comprehensive, up-to-date business credit information on companies throughout the world. International credit reports include business background information, details about a company’s structure, key personnel, payment behavior and financial assets and liabilities. An account monitoring service alerts subscribers to important new information concerning its customers. This service flags changes in payment habits and indicates any legal items, UCC filings or derogatory items. Tracking down a debtor can be easy and inexpensive with the NACM network of public record data. Many Affiliates can tap into information from a variety of sources, such as vehicle registrations and various licensing bureaus.